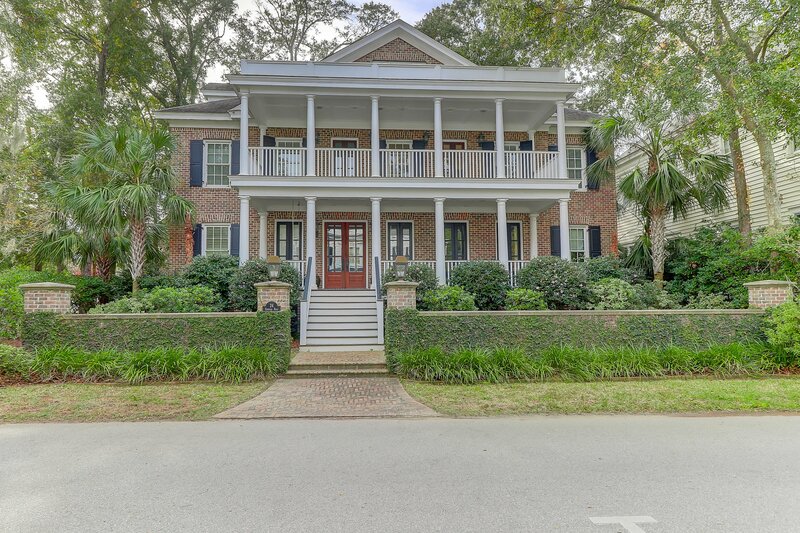 Located in the coveted I'On neighborhood, this impressive custom-built home has an inviting and spacious interior filled with nice finishes throughout its three stories. 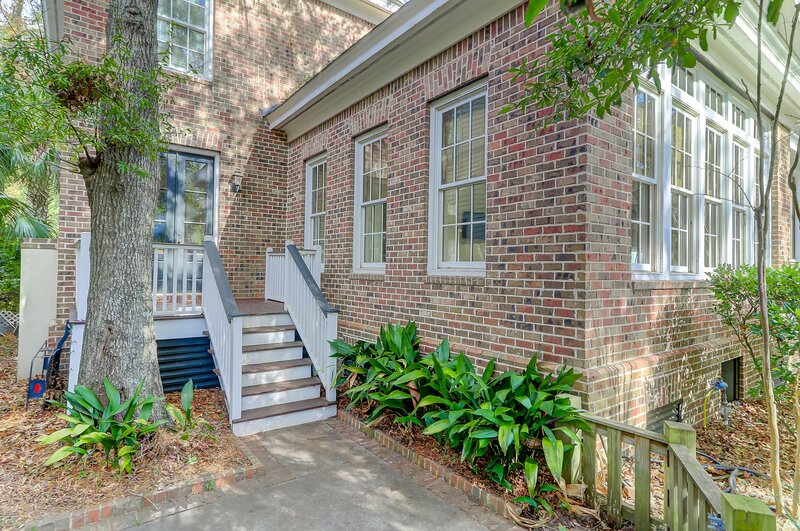 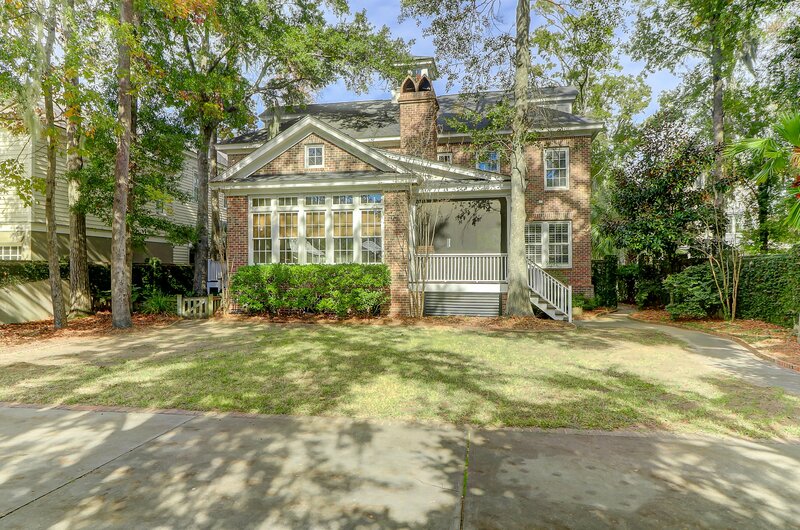 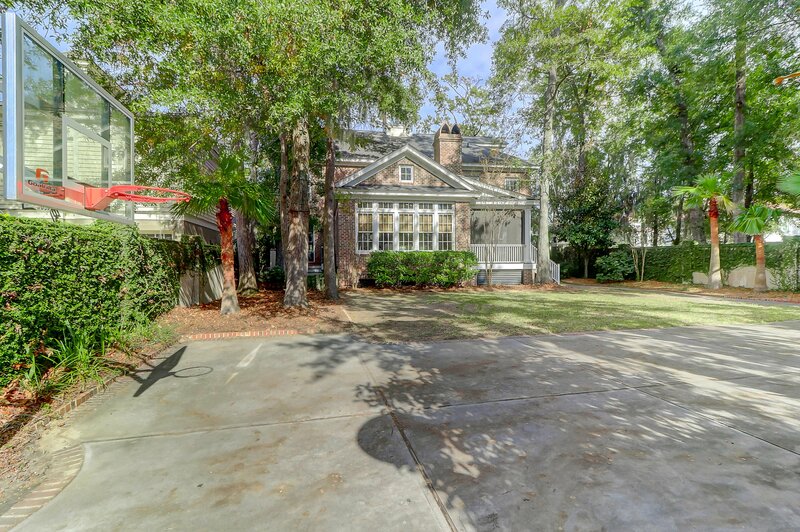 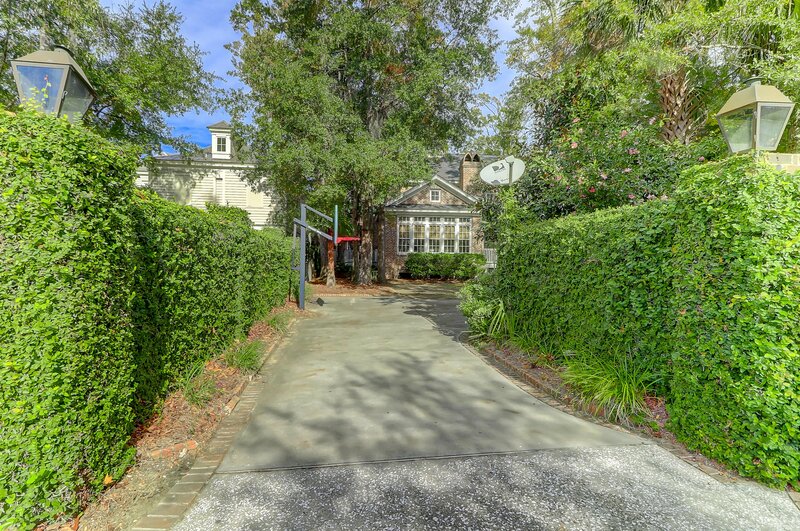 The home exudes curb appeal with an ivy-covered front wall, mature landscaping and a central brick pathway leading to two covered front porches. 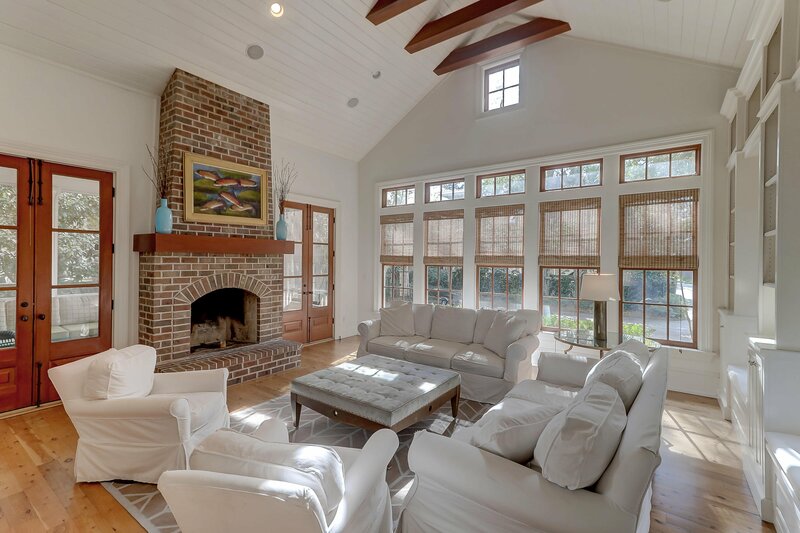 Inside, the home has a graceful floor plan, with a nice combination of formal living areas and more casual gathering spaces. 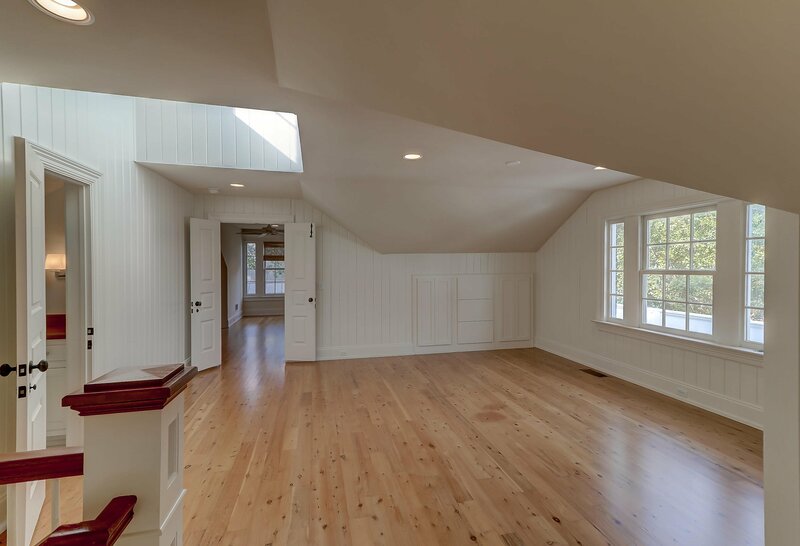 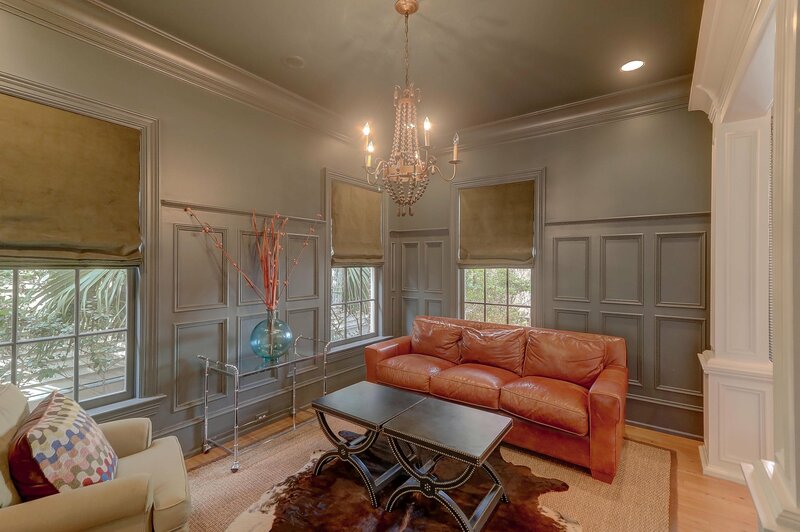 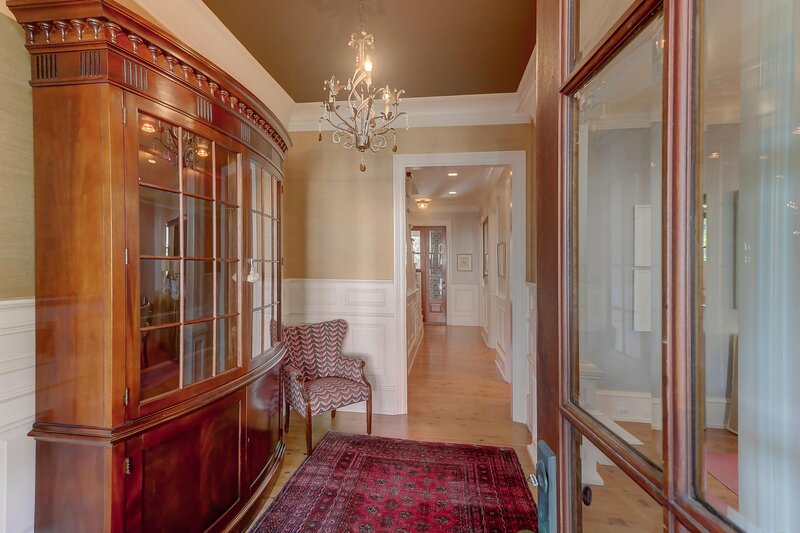 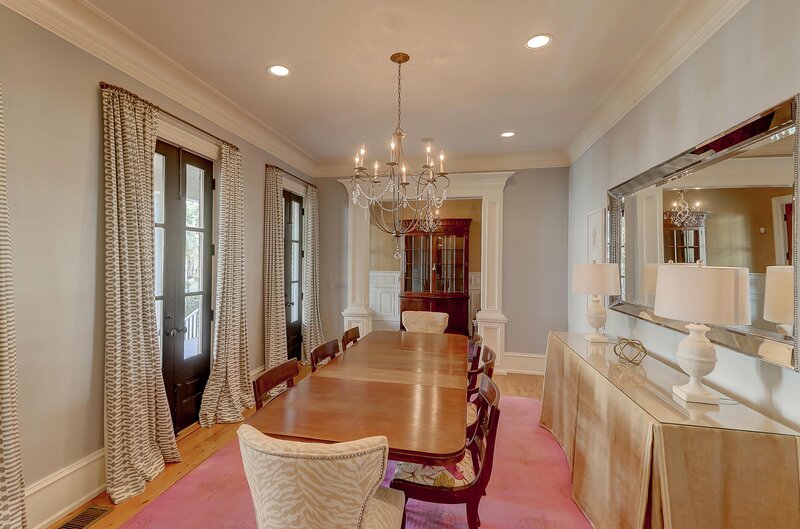 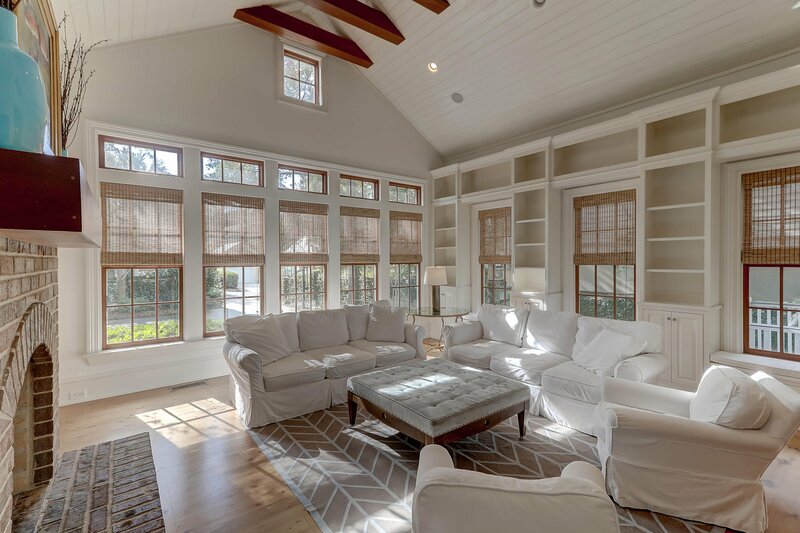 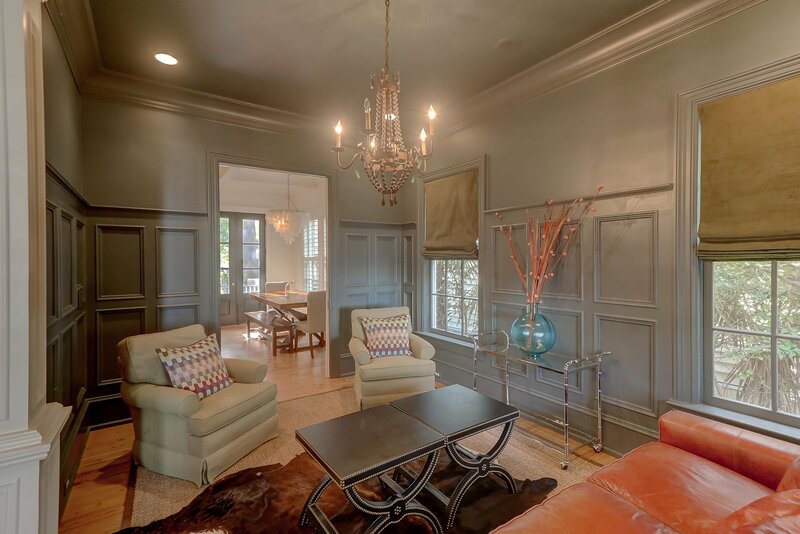 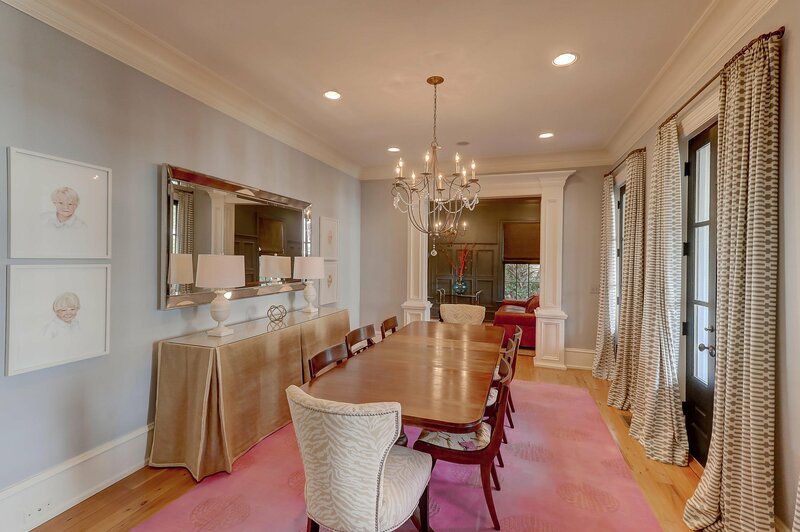 Heart pine floors, recessed lighting, wainscoting, tall ceilings and detailed moldings are found throughout the home. 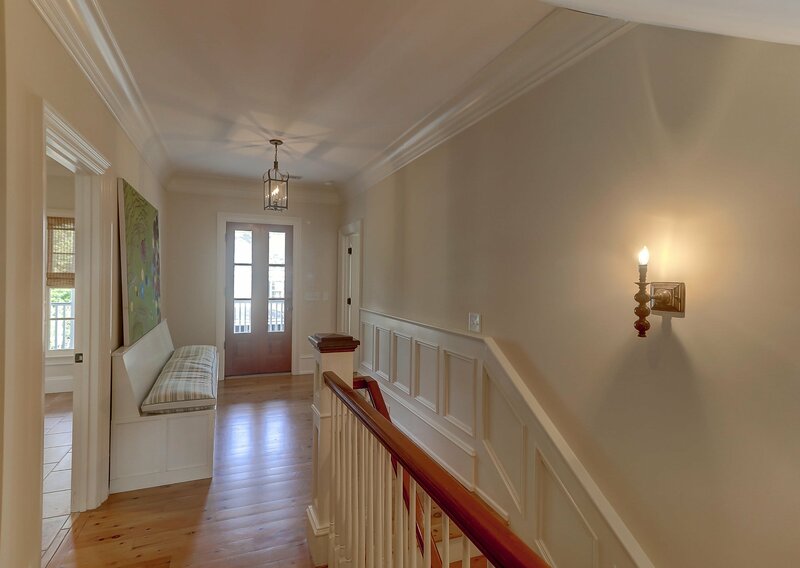 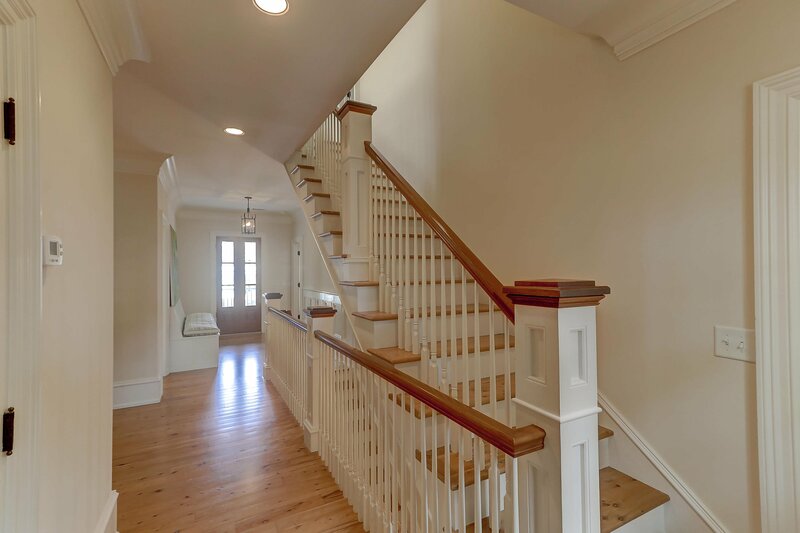 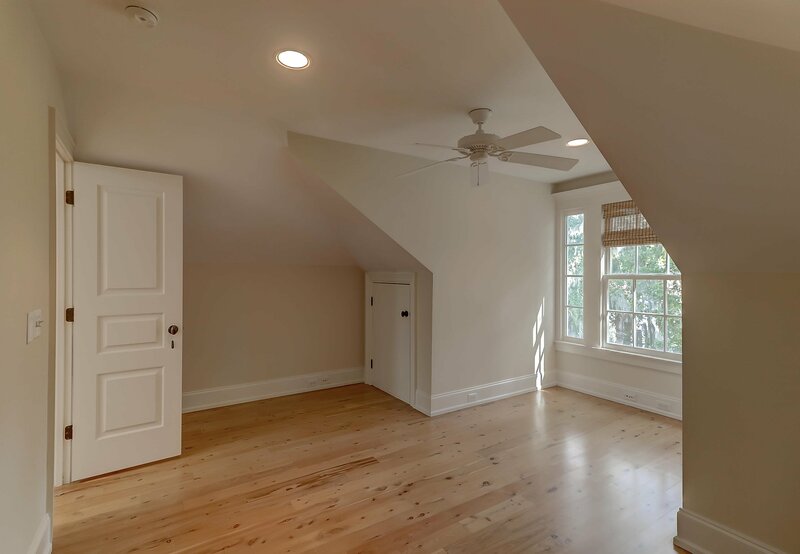 The central foyer welcomes you into the home and leads to formal dining room and study, while the light-filled living room and eat-in kitchen open to one another to create a great space for entertaining or everyday living. 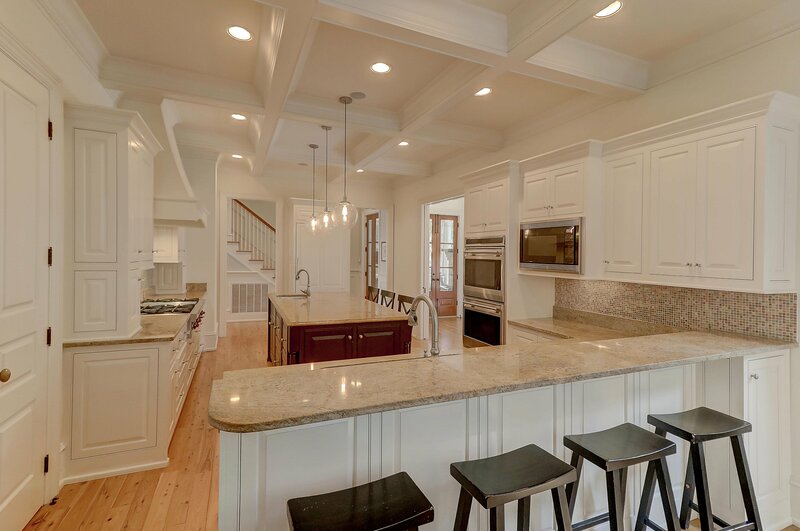 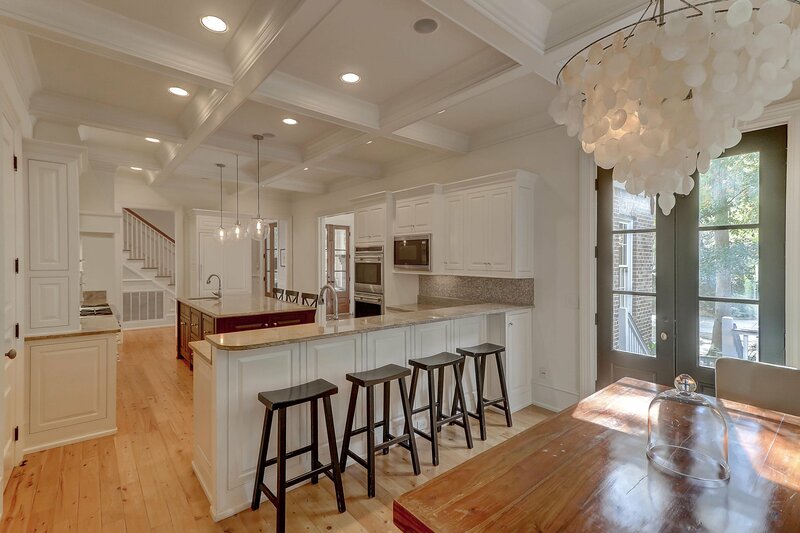 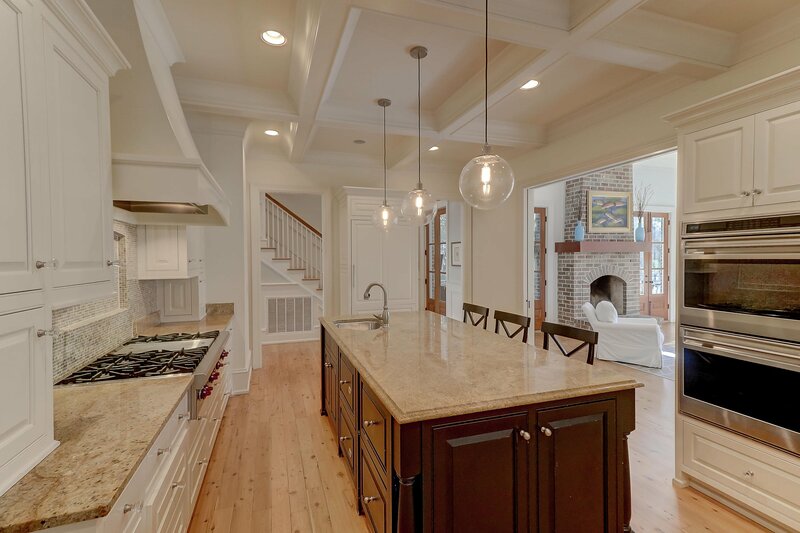 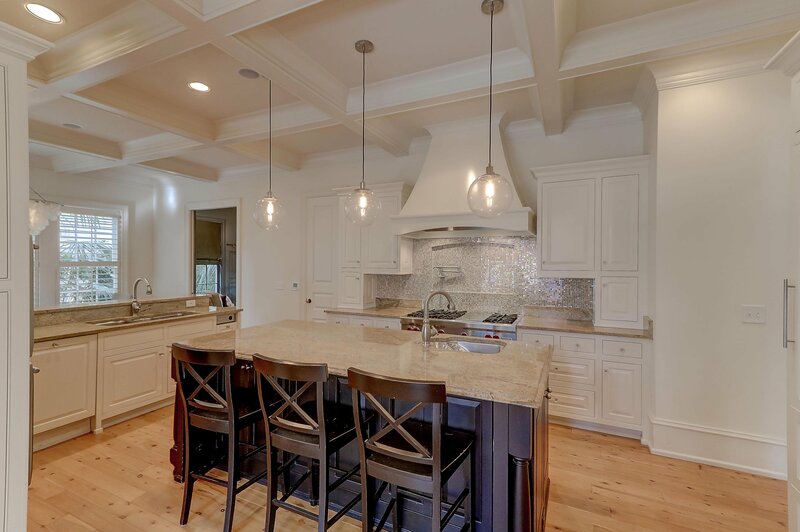 A coffered ceiling, granite counters, high-end appliances and a center island define the kitchen, while the living room is enhanced by a vaulted, shiplap ceiling, a brick wood-burning fireplace, built-in bookshelves and a wall of windows overlooking the backyard. 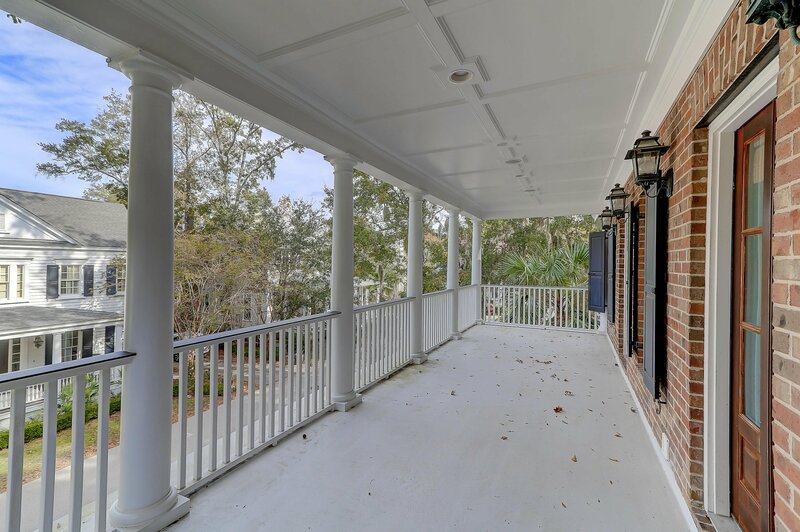 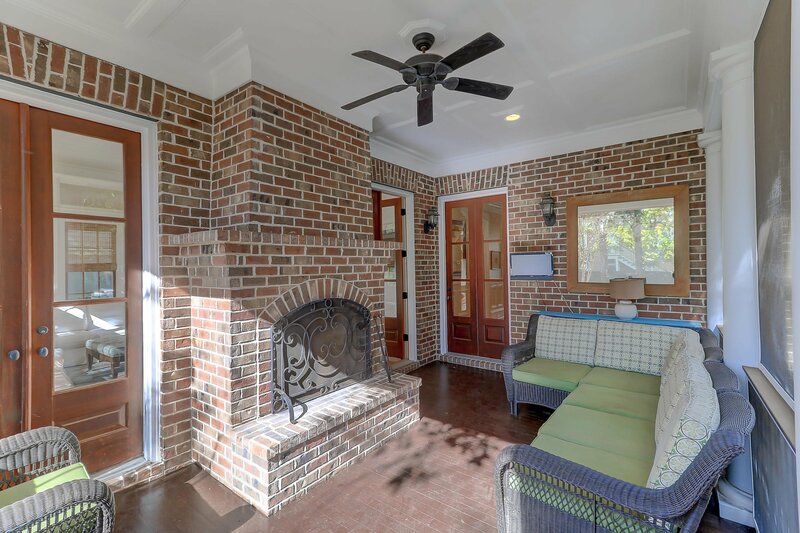 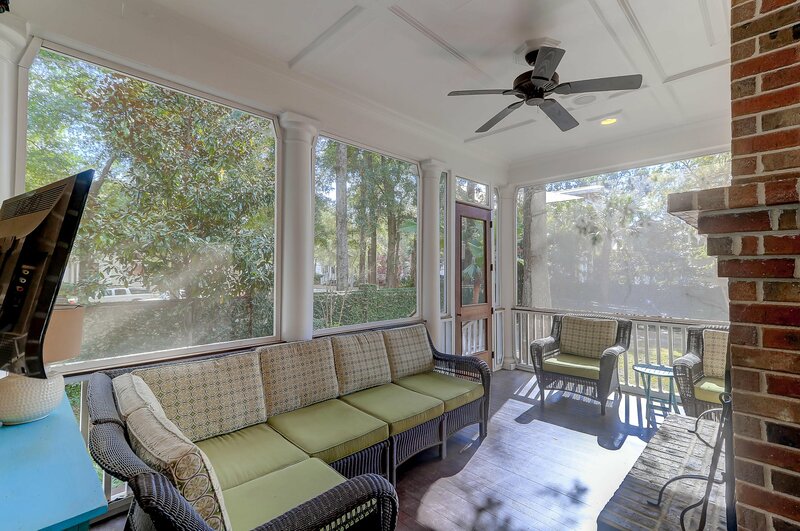 There is great connectivity to the outdoor living spaces as well, with two sets of French doors opening to the screened porch which has a second fireplace. 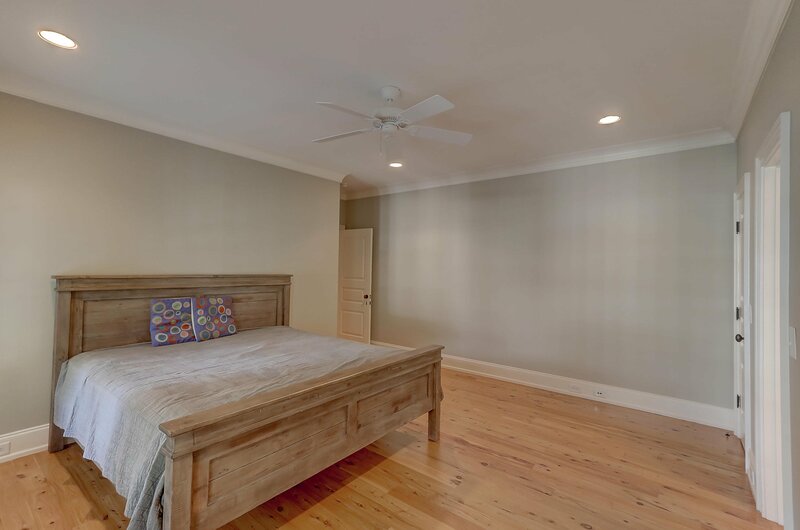 There are dual master suites--one located on the first floor and one on the second. 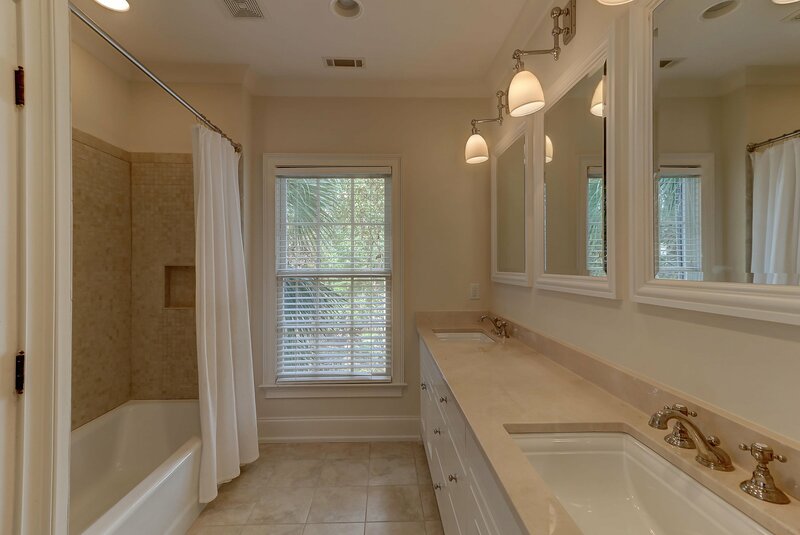 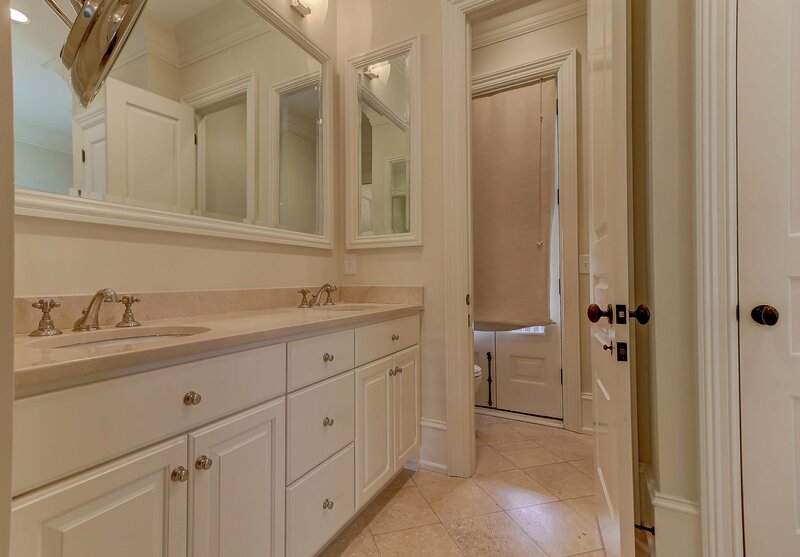 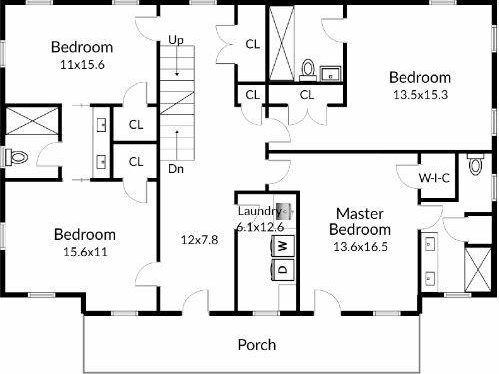 Each suite has its own bathroom, with the second floor master opening to the covered front porch. 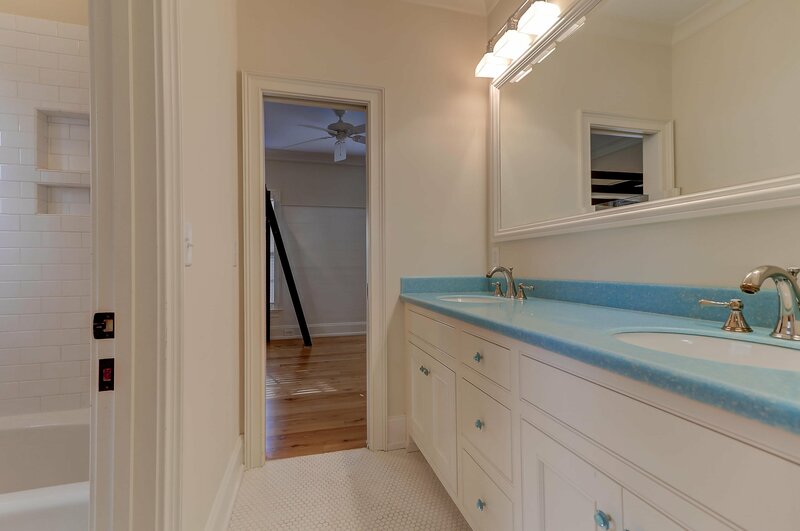 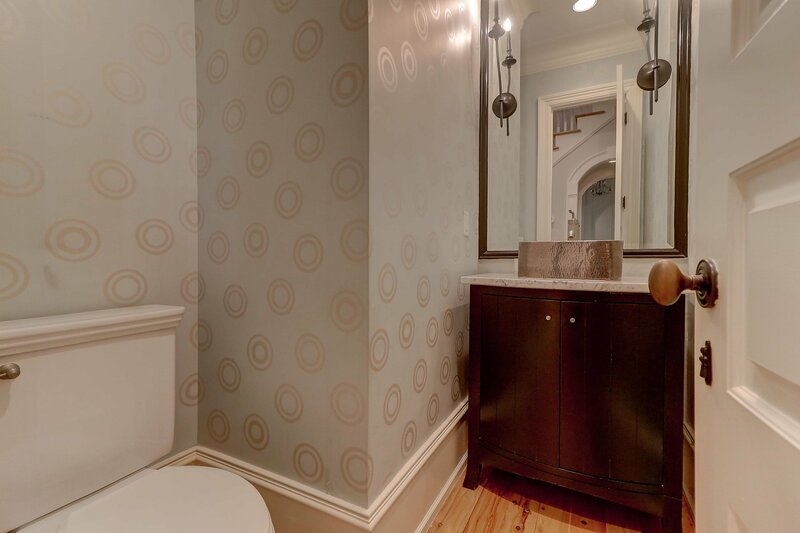 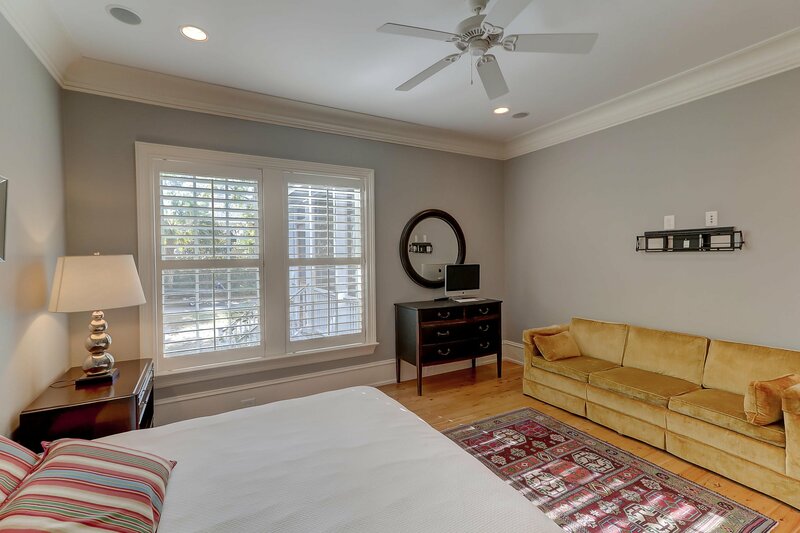 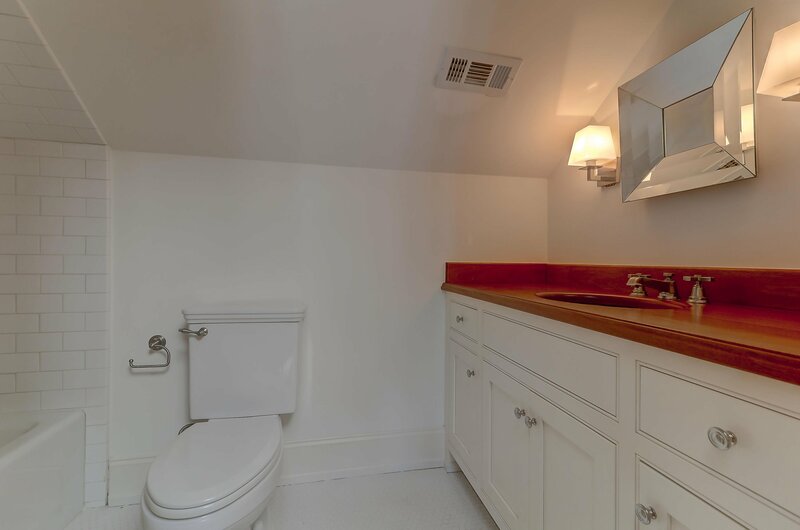 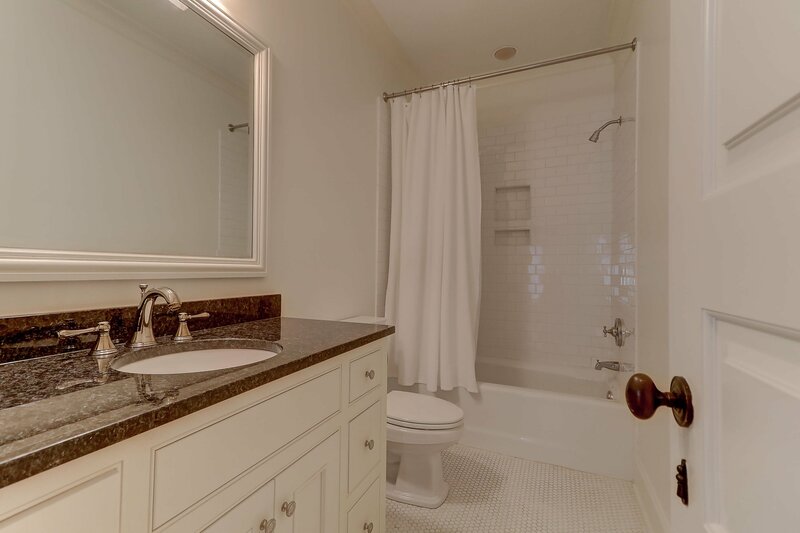 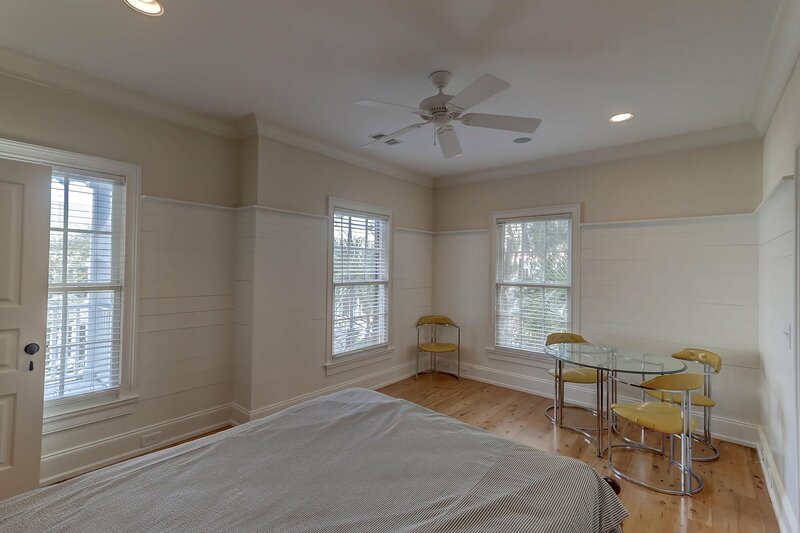 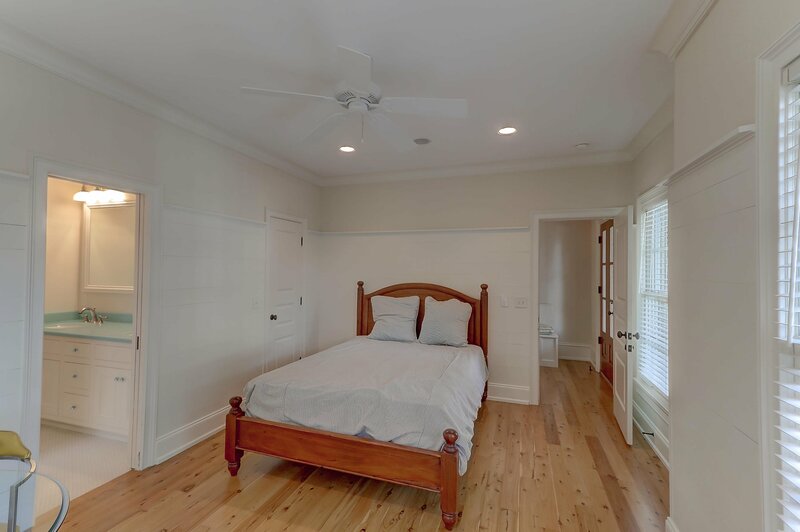 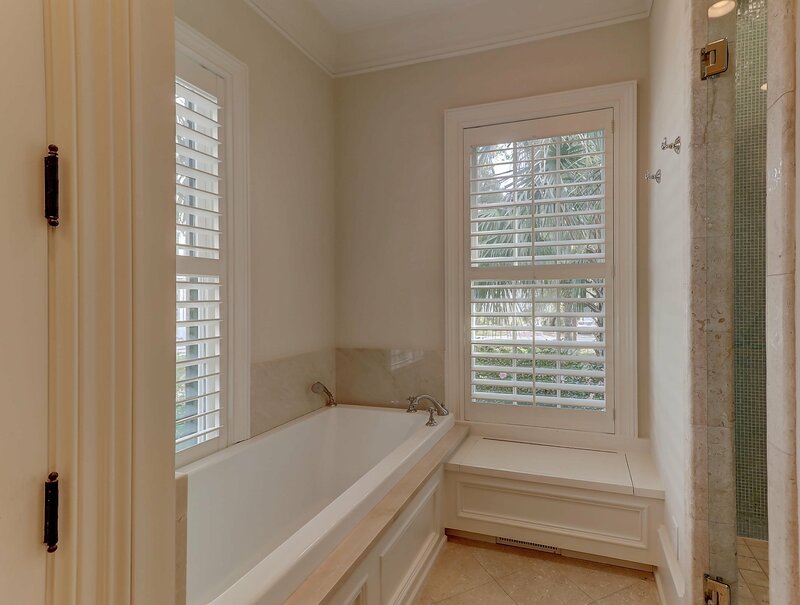 There is an additional guest suite on the second floor, along with two additional bedrooms sharing a Jack and Jill style bath. 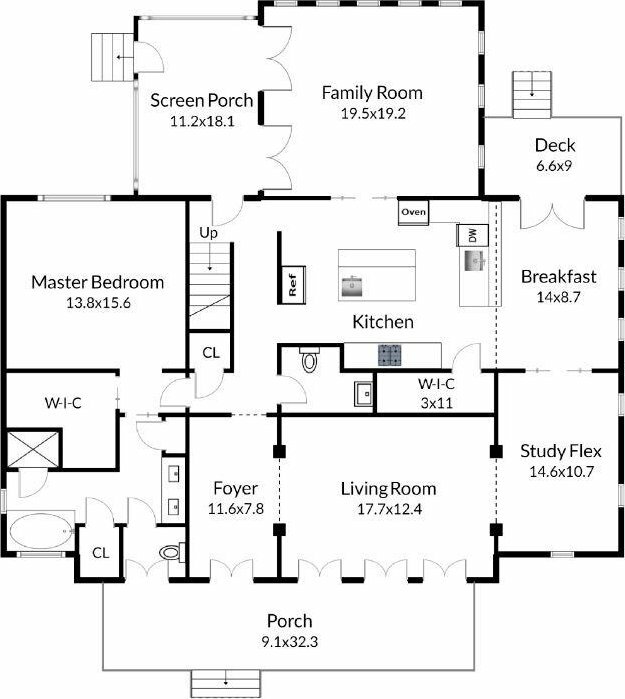 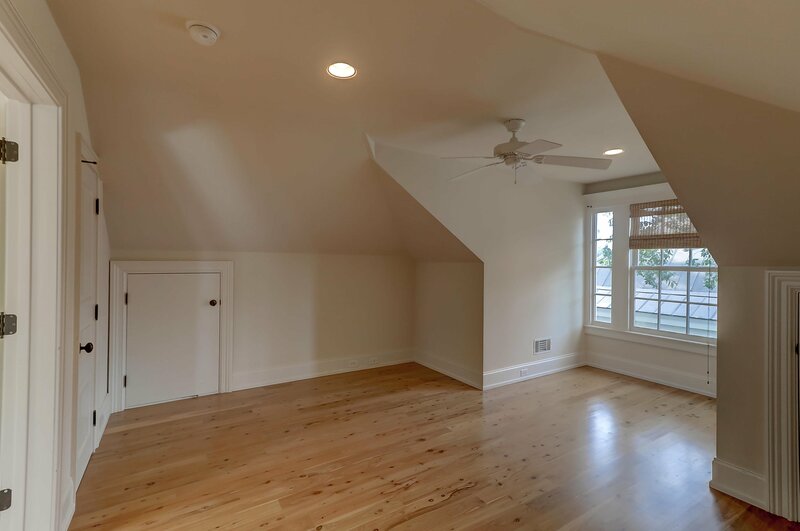 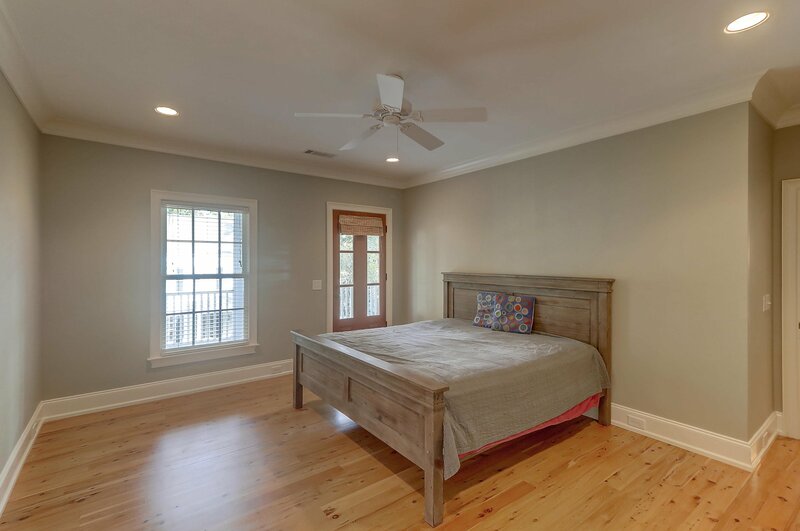 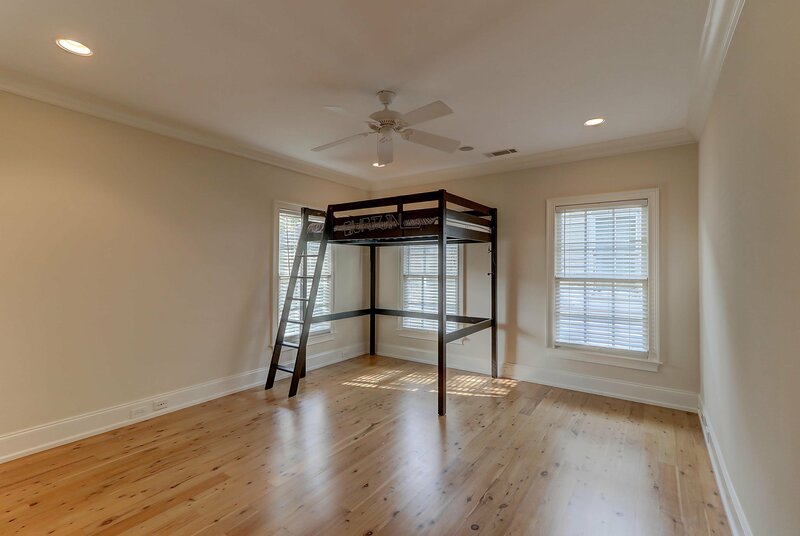 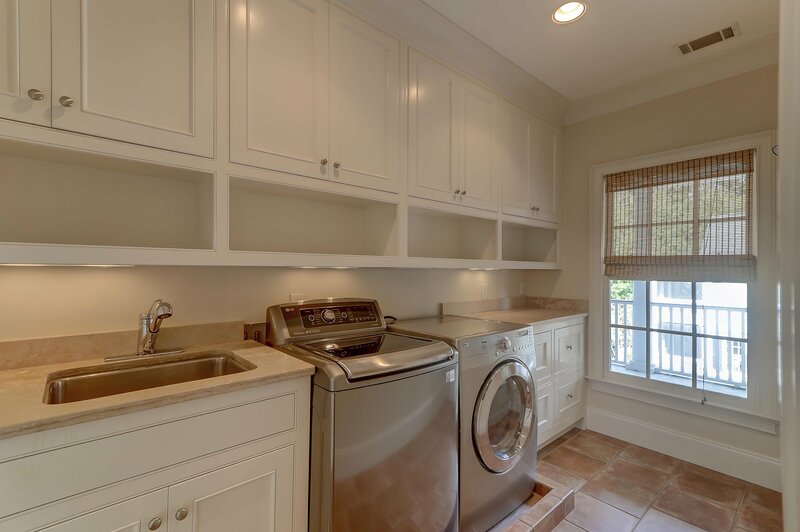 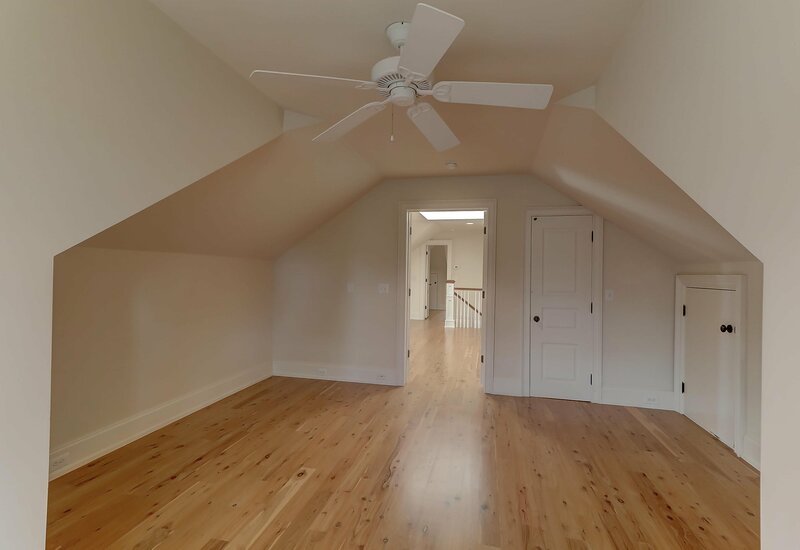 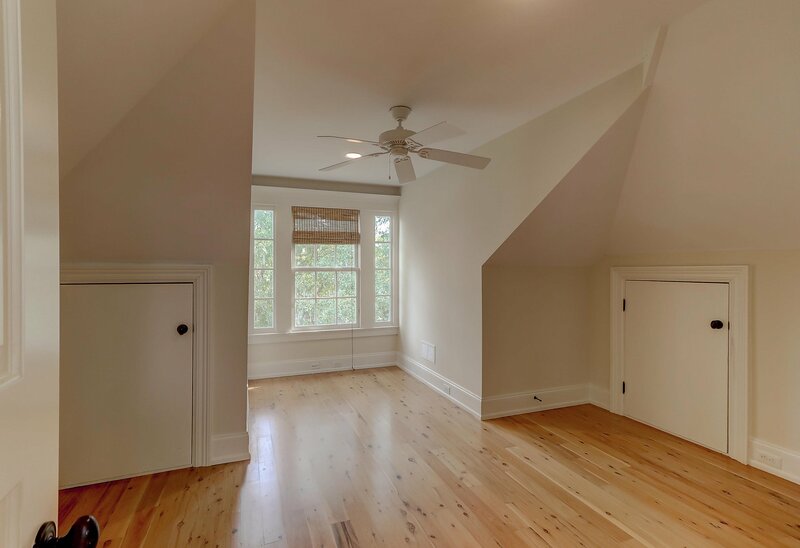 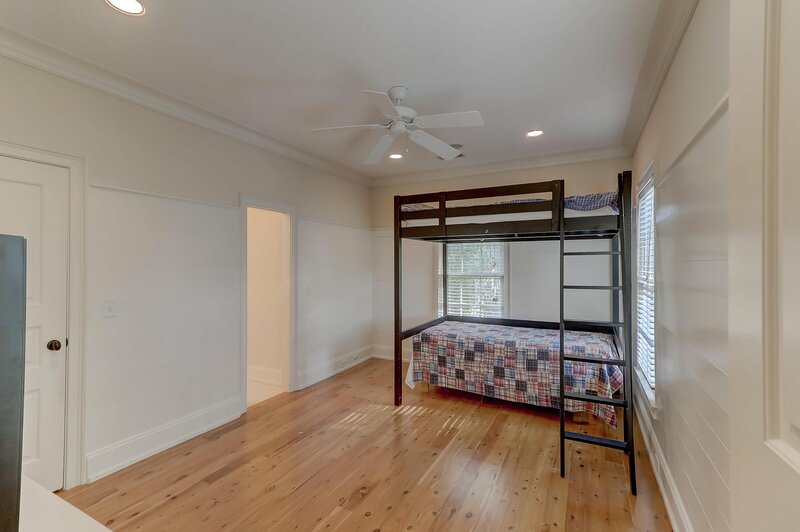 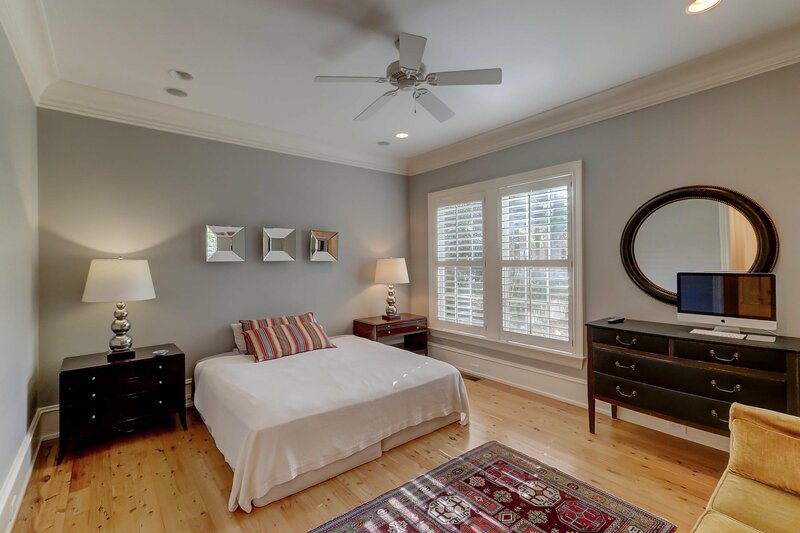 The third floor has one additional bedroom, a flex room and a central living space complete with a full bath. 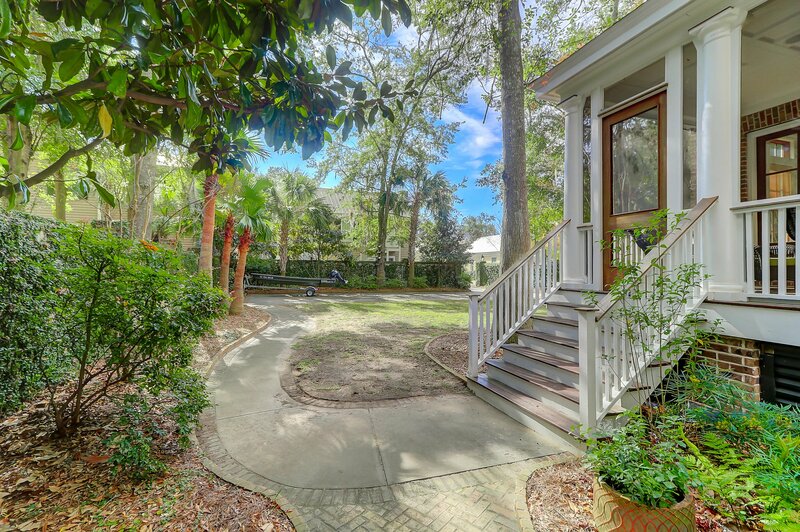 The home also has a large backyard, with a private driveway, large parking area and space to accommodate a pool.